A fun word search that students or teachers can customize in any way they see fit! This could be used for a specific subject, spelling practice, partner work, substitute bin, or a fun "early finisher" project! 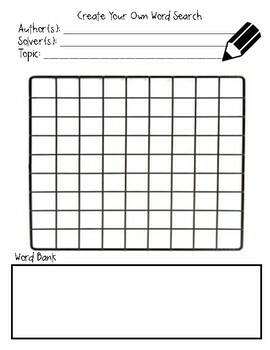 9x9 letter graph and word bank to help keep students organized.